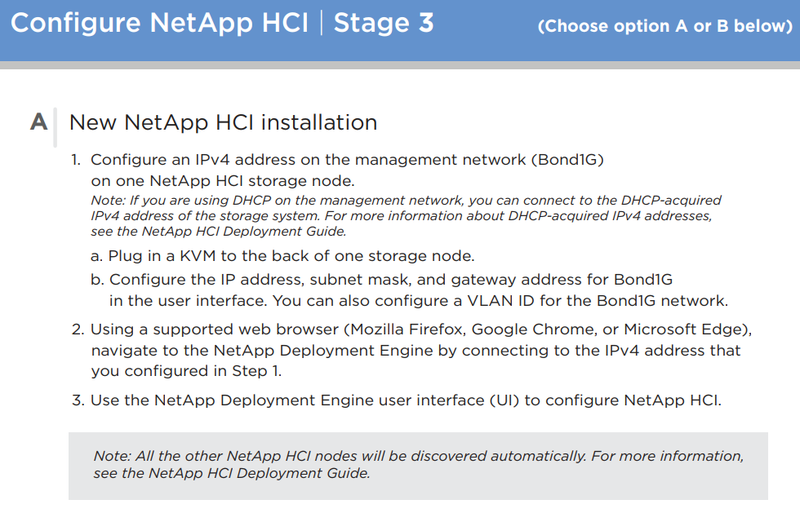 I‘ve not posted anything about NetApp HCI since July 2017 (my first and only dedicated post), so about time to update! This is something a customer will be sent prior to a NetApp/Partner Professional Services installation engagement. Essentially it is to make sure the environment and required information (network switches, DNS, NTP, IP address, VLANs, etcetera...) is ready prior to the PS Engineer arriving on site. *See VMware HCL for all Guest OSes that are supported. If you have a need to RTFI the nodes (i.e. a new version of the NDE has come out and you want to use the latest), then go to https://kb.netapp.com/ and search for RTFI. To create bootable USB keys you can use the Rufus tool from https://rufus.ie/en_IE.html (can RTFI from the IPMIs also). Note: If I get around to it I'll do a post on preparing bootable USB keys. The process is a little different for the compute and storage nodes. 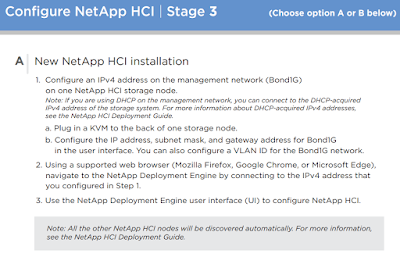 What is the NetApp Solidfire / HCI mNode? Here you will find the HCI_Installation_Workbook_v2.1.xlsm amongst other things.